After mountains of anticipation and an avalanche of leaks, it finally happened: Google just announced the Pixel 3 and Pixel 3 XL at their annual Made By Google hardware event in New York. And, if we’re being honest, we were a bit underwhelmed. The Google Pixel 3 and Pixel 3 XL were some of the most leaked about smartphones in recent memory. Week after week, details about the flagship phone were found across the internet, making the event more of a formality than an official unveiling. Still, excitement was palpable during the event, as Google insisted on announcing the smartphone after the new Google Home Hub and Google Pixel Slate. If you’re thinking about getting the new Google Pixel 3, we’ve got all the information you’ll need to make the right decision. Before we get to any of the exciting new additions, make sure to check out some of the specs to understand exactly what the Pixel 3 and Pixel 3 XL are working with as far as the basics are concerned. Between the incredible camera, the innovative artificial intelligence, and the stylish design, the Pixel lineup has been turning heads for a while. The Google Pixel 3 brings back a lot of the same features, while adding some improved functionality for use at home, at work, and on the go. But that camera is what’s really getting people excited. A large portion of the Pixel 3 and Pixel 3 XL unveiling was dedicated to talking about the camera. From partnerships with famed photographer Annie Leibovitz to a demonstration of how much better the Pixel 3 camera is than the iPhone XS, the Google team couldn’t help but brag about their incredibly popular camera – and it’s getting even better. 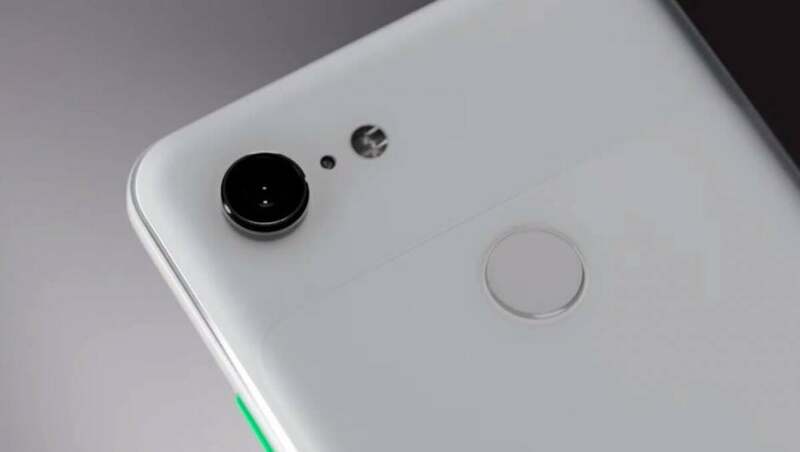 “For life on the go, we designed the world’s best camera and put it in the world’s most helpful phone,” said Rick Osterloh, hardware chief at Google during the event. Although they added a second, front-facing camera to the Pixel 3 and Pixel 3 XL for wide-angle shots, they’ve still foregone the added cameras on the rear, as their AI has proven quite skilled at improving resolution and providing multiple features with the one camera. From Top Shot, a feature that selects the best photo from burst series of shots, to Super Res Zoom, which makes zoomed in shots and high resolution far from mutually exclusive, the Pixel 3 and Pixel 3 XL are going to be loaded with more camera features than you’ll know what to do with. 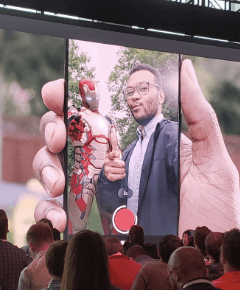 Plus, thanks to a partnership with Marvel, improved AR stickers – including Iron Man and Childish Gambino – will be making an appearance on the Pixel 3 and Pixel 3 XL, which will provide you with all the entertainment you’ll need when it comes to screwing around with your new phone. The Google Pixel 3 boasts a 5.5-inch display, while the Pixel 3 XL has a 6.3-inch display – both much bigger than their predecessors. Do the Google Pixel 3 and Pixel 3 XL have headphone jacks? No, they don’t. Like the Pixel 2 and Pixel 2 XL, the Pixel 3 and Pixel 3 XL are both missing the headphone jack. However, a pair of Pixel Buds should make doing without a little bit easier. The Pixel 3 and Pixel 3 XL are the first Google phones to feature wireless charging capabilities. 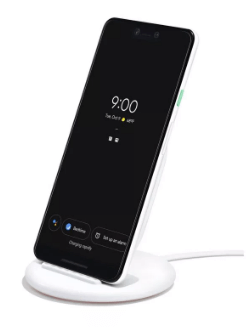 They even announced the Pixel Stand (pictured here) at the event, a handy wireless charger that keeps your phone upright while quickly charging your phone. The Pixel 3 will cost you $799, while the Pixel 3 XL price tag comes in at $899. The Google Pixel 3 and Pixel 3 XL are available on Thursday, October 19th. Should You Get the Pixel 3 or the Pixel 3 XL? If you haven’t jumped on the Pixel bandwagon, you’re missing out. The industry leading cameras and the intuitive artificial intelligence alone should have been enough to sway you back when the Pixel 2 was announced. If you’re thinking about making the switch from other brands, our only question is: what have you been waiting for?! However, if you’re an avid Pixel 2 fan, the Pixel 3 tragically isn’t much of an upgrade. The AI features are only slightly more impressive than the Pixel 2, and there weren’t any other notable features that were worth writing home about. Plus, who needs a better camera when you already have the best one in the world? As someone that has lauded the Pixel 2 as the best smartphone I’ve ever used for the better part of a year, the Pixel 3 is a bit too underwhelming to spend the $800 it’ll take to get the most affordable model. Even with trade-in values as high as 50% off, $400 is still a high price tag for what equates to a slightly improved version of the same phone.